Loss of cervical lordosis is a diagnostic finding most often seen on MRI reports in association with chronic neck pain. Reduced curvatures in the neck are called hypolordotic conditions. Lordosis describes the normal front-to-back curvature of multiple areas of the spine, including the neck. Lordotic curvatures are open towards the posterior of the body and closed on the anterior face. The degree of curvature in the neck can be measured much like a mathematical angle. When the angle is reduced in size, the neck is said to have suffered a reduction in lordosis. Lordotic losses are very controversial diagnostic conclusions. While they are easily verified using various forms of diagnostic testing, the causes, consequences and treatments of these alterations are hotly debated in medical circles. This informative article helps patients to better understand the diagnostic conclusion of lordotic loss in the cervical spine, as well as to prepare themselves for the treatment process that might be recommended by their care providers. The cervical lordotic curvature is not congenital and is instead developed in early childhood. Infants develop a gentle curvature in the neck within their first year after birth. The purpose of the cervical lordosis is to better absorb shock and distribute stresses within the upper vertebral column. Age and activity can enact changes to the lordosis, increasing or decreasing curvature. Disc desiccation and vertebral arthritis can both contribute to lordotic changes in the cervical spine. Injury can have permanent or transitory effects on the front-to-back spinal curvature in the neck. Muscle contractions can cause lasting or transient lordotic alteration. Spinal ligamentous ossification can cause hypo or hyperlordosis. Doctors typically classify lordotic losses as those which are spinally-motivated and those that are enacted by soft tissue conditions. Most spinally-generated lordotic alterations are permanent in nature and might even continue to degenerate, while most soft tissue lordotic changes have the potential to be short-lived, if the muscular spasm can be resolved. Since the spine is carefully engineered to be multiply curved in the front-to-back plane, any change to these curvatures will certainly have the potential to affect physical functionality. 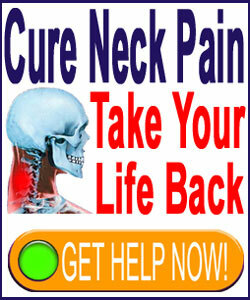 However, it must be noted that most cases of lordotic loss in the neck are not symptomatic to a large degree, or at all. The body has wonderful adaptive mechanisms that can accommodate many changes to the anatomy, including lordotic reduction. 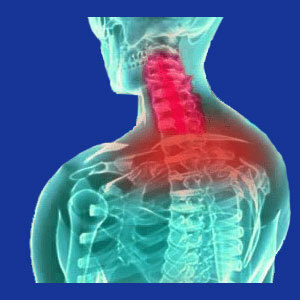 Patient might suffer pain, stiffness or discomfort all the time, or only upon movement of the neck. Patient is likely to endure sensitivity to shock or impact in the neck. Patient is likely to have increased susceptibility to cervical injury, including whiplash. Patient might demonstrate an increased propensity for intervertebral herniation or arthritic alteration of the vertebral joints. Patient might continue to progress towards a reversal of cervical lordosis and possible spinal instability. Treatment for hypolordosis is the most controversial of all the topics contained in this essay. This is because the causes and consequences of lordotic loss are often confused. In essence, some doctors place the blame for causing hypolordosis on soft tissue pathologies, such as muscular cramps and spasms. Meanwhile, other doctors might view the exact same patient and theorize that the muscular spasms are a result of spinally-motivated lordosis. The same can be said with any of the other possible causes of lordotic alteration, including intervertebral degeneration and herniation, as well as spinal osteoarthritis. The important point to remember here is that the causative process must be discovered and rectified, or the condition will continue to express itself, despite treatment. This iatrogenic switching of cause and consequence has cost many patients a tremendous amount of suffering, regardless of the path of therapy chosen. Typical conservative treatments for hypolordosis might include physical therapy, chiropractic, massage and exercise application. Moderate treatments for a reduction in lordosis might include epidural injections, spinal decompression and Botox therapies. Extreme treatment selections are surgical in nature and usually entail the most barbaric of spinal fusion techniques, although some fortunate patients may qualify to be treated using less damaging procedures, such as artificial disc implantation or discectomy, for select types of disc-related hypolordosis. As always, the success or failure of any treatment will rely on the accuracy of the diagnostic process. If the causes and consequences of lordosis are mislabeled, which occurs in many circumstances, treatment results will likely be poor. The only sure way to truly reestablish a normal degree of lordosis is with hardware-assisted fixation, as part of a spondylodesis operation. However, since spinal fusion is the most risky of all neck pain surgeries, and will have immediate and long-term negative effects on the surrounding spinal anatomy, this is a poor option for virtually every patient. Fusion should always be held in reserve for true emergency cases, where life or physical functionality depends on stabilizing and correcting the lordotic change.